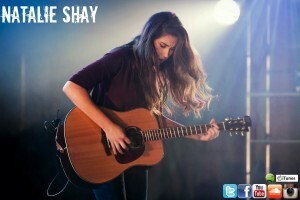 Award winning singer/songwriter Natalie Shay performing at this years Festival.. The Festival is very excited to welcome 17 year old, multi award winning singer/songwriter Natalie Shay to this year’s Festival! Natalie is currently studying at the BRIT School and is residing in London, and is no stranger to playing venues across the city. Natalie has performed at The Roundhouse, The 100 Club, Half Moon in Putney, The Beford, The 12Bar Club, Hyde Park and also played Hard Rock Calling at the Olympic Park. She has shared the stage with acts as diverse as Soul II Soul and Hudson Taylor. Her list of accolades are quite impressive for a 17 year old, including being a three time finalist and two time winner of the Mayor of London, Gigs: Big Busk competition. She has also won Open Mic UK, The Guardian’s Future8 Music Award in 2014 and the London Music Award for Best Undiscovered Talent. Natalie’s début single ‘Follow You Home’ reached number 15 in the singer/songwriter iTunes top 200 chart. The Festival is really looking forward to having Natalie with us this year. I posed a few questions to her about the Festival and her music. So Natalie this is your first Festival in The Park experience, are you looking forward to it? Yes! Looks very exciting, my favourite gigs are festival type ones that are in the sun, so it should be fab. So tell us a bit more about yourself and where we can catch up with you and your music? I’m a 17 Year old, Multi award winning singer/songwriter and guitarist. I go to the BRIT School and live in North London. I’ve been writing and performing since I was 13. My music is a mixture of alt-folk/pop. You can follow me on Twitter @natalieshay_ or check out my two singles on youtube.com/natalieshaymusic. The festival’s ethos is to nurture and promote local performing arts in many forms. As a young performer yourself, how important is it that children and families are exposed to live, local music and the arts? I think it’s very important, without experiencing it how can you be inspired! This is the Festivals 11th year! As a musician do you feel it is important to have this kind of event available to local communities? Yeah I think it is very important. Festivals can be very expensive and detached from a local community, events like this bring people together. A lot of hair flicking and foot stomping!